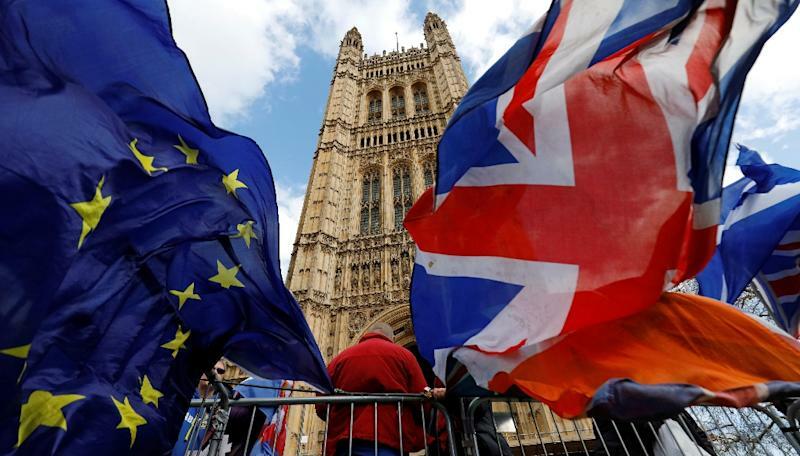 London (AFP) - The Bank of England on Thursday expressed concerns that further "uncertainties" over a "cliff-edge" no-deal Brexit "could have a significant effect on spending" by businesses. The BoE decided to keep its main interest rate at 0.75 percent following a meeting at which policymakers discussed "the possibility of further cliff-edge uncertainties that could have a significant effect on spending as any new deadline approached" for Brexit. The central bank said that doubts over Britain's exact departure date from the European Union were already weighing on "short-term economic activity, notably business investment". "Shifting expectations about the potential nature and timing of the United Kingdom's withdrawal from the European Union have continued to generate volatility in UK asset prices, particularly the sterling exchange rate." Prime Minister Theresa May headed back to Brussels on Thursday to beg for more time to deliver her Brexit plan, but EU leaders are likely to refuse her request for a three-month postponement. The BoE on Thursday added that according to its own findings, "around 80 percent of (UK-based) companies judged themselves ready for a no-deal, no-transition Brexit scenario". This compared with about 50 percent in January of its regular survey of about 300 businesses. Despite the increase, many of the companies surveyed "also reported that there were limits to the degree of readiness that was feasible in the face of the range of possible outcomes in that scenario. "These included issues relating to tariffs, border frictions, exchange rate movements and recognition of certifications, which many companies had noted were outside their control," the BoE minutes added. In a bid to soothe nerves, May's Conservative government last week said it would temporarily slash most import tariffs in the event of a no-deal Brexit. In addition, Britain will not apply customs checks on the border with Ireland, albeit temporarily. The new tariffs regime is aimed at avoiding both a jump in prices of EU imports for consumers and any disruption of supply chains. It is intended to last up to one year pending negotiations on a more permanent system. Under the proposal, 87 percent of imports into Britain will be eligible for zero tariffs, compares with the current level of 80 percent. Britain's economy is showing signs of holding up despite Brexit chaos, with unemployment at its lowest level in 44 years and wages growth outpacing inflation. Official data Thursday showed that UK retail sales edged up 0.4 percent in February from January. However, the pound is once more under pressure since May requested her delay on Wednesday.